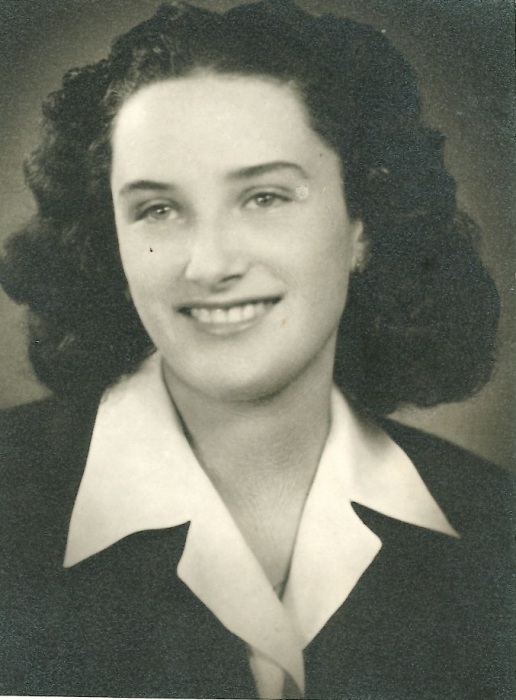 Obituary for Vera Miriam (Vajs) Bruner | Shore Point Funeral Home and Cremation Services, Inc.
Vera (Miriam) Bruner, 93, passed away peacefully surrounded by her loving family on Friday, January 25, 2019 at Bayshore Community Hospital in Holmdel, NJ. She was born Vera Vajs on June 4, 1925 in Bac, Yugoslavia, where she grew up and spent an idyllic childhood. World War II changed everything. At 19 she was deported to Auschwitz and her parents were murdered. She survived the Holocaust and married Dr. Mirko Bruner, in 1948. Due to his career as a Yugoslavian diplomat, they lived in a number of countries throughout their lives. Vera was known for her beauty, good taste, elegance and sense of fashion. She was an important asset to her husband in his career, as well as a beloved wife, mother, grandmother and friend. Vera was predeceased by her parents, Alexander and Alisa (Herlinger) Vajs, and her beloved husband, Dr. Mirko Bruner. Vera is survived by her loving children, Alexander Bruner and his wife, Roberta, of Boca Raton, Florida, and Dr. Vanda Bruner Colombini and her husband, Ettore, of Holmdel, New Jersey. She is also survived by her dear sister-in-law, Mila Bruner, her adoring cousins, Nada Herlinger, Mira Price, and Zlata Baum, and her cherished grandchildren, Benjamin Bruner and David Colombini and his wife, Ashley. Vera will be deeply missed, but never forgotten. Family and friends are invited to attend a celebration of Vera's life on Sunday, January 27, 2019 from 1:30 to 2:30 PM at the Shore Point Funeral Home and Cremation Services, Inc., 3269 State Highway/Route 35 North, Hazlet, New Jersey 07730. Interment will take place on Monday, January 28, 2019 at 2:30 PM at Mount Hebron Cemetery, 130-04 Horace Harding Expressway, Flushing (Queens), New York 11367. For information, directions, or to send condolences to the family, please visit, www.shorepointfh.com or call (732-203-9200). In lieu of flowers, please make a donation to the United States Holocaust Museum (www.ushmm.org) or Yad Vashem Museum (www.yadvashem.org), or another charity of your choice.